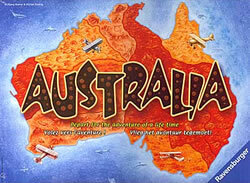 Giles Pritchard (probably best known across the world for his work on the Dice Tower and On Board Games) has announced that the Boardgames Australia forums are now up and running. This is an announcement to say that our forums have officially opened. If you head over to www.boardgamesaustralia.org.au you will find links to information about our awards, about who we are and what we are trying to achieve, but most importantly you will also find a forum where you can share your thoughts, ask questions and talk about our awards, the boardgame hobby in general and if you are a game designer (beginning or experienced) there are forums there dedicated specifically for that! Congrats to Giles and crew for being able to create and maintain such a large (and cool!) organization! EDIT: The site went down as I was posting this, so you may have difficulty connecting. Thankfully it is up again now, but thanks again for posting! !